Since its inception, Lord Lawson's climate-denying Global Warming Policy Foundation has been dogged by questions about funding. Since the Global Warming Policy Foundation was established last year, just in time for the Copenhagen climate change conference, it has set about its aim of casting doubt over the science of global warming. Its chairman, Lord Lawson of Blaby, has made much noise in the media claiming that the issue of global warming is grossly exaggerated. Sadly these claims seem to have attained some degree of credibility in the minds of the British public and, as revealed by a survey for Conservative Home, nowhere is doubt stronger than amongst grassroots Tories. The GWPF website claims that GWPF has no ties to any energy companies but, as reported here on Left Foot Forward, many questions remain unanswered. Why, for example, does the GWPF share its offices with a major mining company? And what of Lord Lawson’s ties to the Central European Trust (CET), a lobbying group whose clients include, amongst others, Royal Dutch/Shell Group and Texaco? This is not, of course, to forget one of the most ominous figures at GWPF, Dr Benny Peiser, notorious for his ties to institutions in the US such as the Heartland Institute which have, over the years, received significant sums of money from companies such as Exxon Mobil. Many of these issues are dismissed as circumstantial and of little relevance. 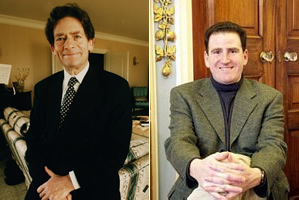 Indeed when I put the question of Lord Lawson’s involvement with the CET to his office, he dismissed it as a ‘canard’. Canard or not though some serious questions remain that, if the GWPF hopes to be a credible part of the debate, must be answered. When John Prescott raised the CET issue in the House of Commons the good Lord Lawson took offence claiming, in a letter seen by Left Foot Forward, that such questions are ‘actionable’ (legalese for ‘I might sue’) and a breach of parliamentary privilege. A cursory glance at the CET website, however, seems to contradict this claim stating, as previously reported, that a number of their clients are major energy companies. Their Polish website also reveals links with many eastern European energy companies such as Czech-based Unipetrol and Polska Grupa Energetyczna. So who is telling the truth? Enquiries have been made of CET but, as yet, we have had no response. A series of exchanges between the GWPF and the Charity Commission also seen by Left Foot Forward make much mention of a conflicts of interest policy that was produced and supposedly signed by all trustees and other associates of the GWPF. “The Mining Companies satisfy 68% of the PGE Capital Group’s demand for fuels. In 2008 our lignite mines excavated together 45 million tons of lignite, which constituted 76% of Poland’s lignite output. “In 2008 the PGE Capital Group generated 56 TWh of electricity; 55.9 TWh was generated in conventional power plants and cogeneration plants (the remaining part was generated from renewables). Given that one of the motivations amongst policy makers in Europe for moving to sustainable energy is to reduce dependence on Russian and eastern European ‘dirty’ energy, companies such as PGE stand to lose out. CET, chaired by Lord Lawson, advises such companies on strategies for success. Conflict of interests? You decide. This may be a canard for Lord Lawson but the GWPF must make their conflict of interest policy transparent. “sceptic” gives these people much too much credit: prefer “denialist” I think! Will Left Foot Forwards also come clean and publish who funds this blog and by how much? Actually, there is a list of major LFF donors on the ‘Thanks’ section of this blog. Correct. I want to know how much this blog is in the pocket of the Communication Workers Union. Speaking as the person who researched and wrote this article I can confidently say that I have never been paid by the CWU or any other union!